Latin America is fast becoming a world leading hub for technology and innovation due to several market conditions. The first, is the abundance of highly skilled engineers in Latin America. For example, Mexico is now producing more engineers per capita than the US. It’s part of the reason why more accelerators and R&D centres are launching in the region, highlighted by the fact that one of Intel’s largest R&D centres in the world is based in Mexico. Another key factor is that many Latin American countries, such as Mexico, has free trade treaties with 45 countries, helping to attract companies and investment to the region. For example, VC transactions in Latin America are up 46 per cent year on year and as a consequence the region has already produced six “unicorns”. All of these conditions are helping to establish the region as fertile ground for technology innovation, especially for the Internet of Things. There’s a huge opportunity for Latin America to become a major hub for the IoT. Research suggests that the number of smartphone users in Latin America is forecast to grow to 214.3 million by 2017. Smartphone penetration on such a large scale indicates that Latin America is already a networked society – a vital consideration for IoT companies launching products and opening offices in the region. 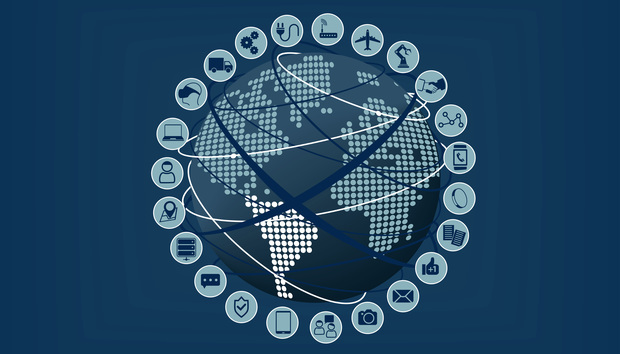 Latin America is also home to large industries that can commercially exploit the IoT. For example, the agricultural industry accounts for 3.71 per cent of Mexico’s GDP. With the industry contributing such a significant financial output, it makes sense for large-scale crop growers to invest in IoT networks that drive cost efficiency. For example, IoT networks such as Aura help farmers to measure temperature, humidity and air pollution conditions to automatically optimise greenhouse conditions on a large scale, helping them to maximise crop yields. The IoT is also helping to automate industrial manufacturing, a huge market in Latin America. For example, Mexico is the sixth largest auto part producer in the world, with production exceeding $85 billion in 2015. Accenture suggests that the industrial IoT can help increase productivity by 30 per cent, meaning that technologies that can streamline processes to drive greater cost efficiency will provide a huge financial boost to a multitude of manufacturing industries in the region. It’s opportunities in areas like this that are driving IoT hardware and software adoption with industrial and government support, and it shows no signs of slowing down. A recent report from Juniper Research estimates that the number of connected devices in use will hit 38 billion units by 2020, a 285 per cent increase since 2015. This growth will occur globally, but if the rapid rise of mobile devices in Latin America is anything to go by, connected device use should enjoy a similar level of adoption. When it comes to ‘smart’ cities that are using sensor networks, data and new technologies effectively, Latin America is leading the way. A recent report from consultancy firm Markets & Market suggests the Latin American smart city market is expected to grow 19.4 per cent, per year, reaching $758bn in 2020 – a growth that mirrors the IoT market. One key reason for this is the lack of legacy networking systems in most cities in the region. Local authorities and governments do not have to deal with the costs associated with maintaining or replacing legacy networks and infrastructure meaning IoT networks can be integrated into cities using the latest networking technologies. Similar to what we have observed with mobile networks in Africa, Latin America has the real potential for its cities to ‘leap frog’ straight to being connected smart cities, meaning the pace of smart cities being rolled out in Latin America could be faster than in more developed countries. Santiago, Mexico City and Medellin are just some of the cities in the region employing new technologies to improve the quality of life for residents. In Mexico, the City of Tequila is at the centre of smart city innovation, with a well established player in the space, IBM, partnering with the town government to bring smart solutions to the fore. IoT applications are being deployed across utilities, public transport and health in these smart cities, with the aim of improving quality of life. In fact, Digital Health in Latin America is driving adoption of IoT networks for smart cities. A practical example of this is the use of CleanSpaceä, an IoT sensor network to monitor air pollution. It uses machine learning and mobile sensors (that connect to smartphones) to create hyper-local air pollution information in major cities such as Mexico City, helping enterprises and authorities improve air quality. IoT networks like these help transform a networked society into a smarter society. There’s clearly an appetite for IoT deployments in Latin America, but enterprises and authorities need to ensure they’re investing in solutions that will offer long-term financial benefits and operability. Whilst there has been swift and widespread adoption of smartphones in the region, remote areas can sometimes offer only limited power networks. For agricultural IoT deployments, where networks need to cover hectares of farmland and greenhouses, connectivity and power issues need to be addressed. Energy-efficiency therefore becomes mission critical for network owners. When deployed, sensors need to use intelligent software that knows when to collect data readings and when to conserve energy, bringing cost and energy efficiency to the network as a whole. The IoT can play a crucial role in helping local governments and businesses in Latin America to improve quality of life, drive growth and production output. IoT providers are also capitalising on the market conditions that make the region a fertile hub for developing their innovative technologies.